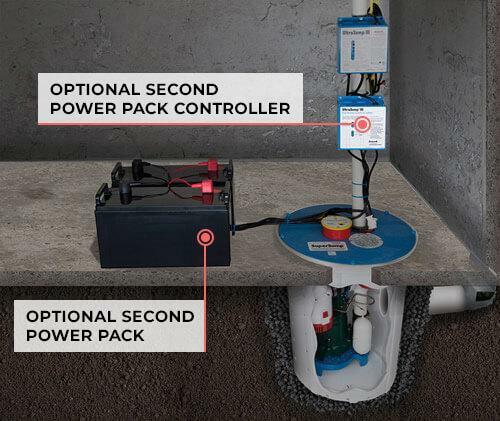 The UltraSump® battery back-up sump pump system is designed to help keep your basement dry when your main sump pump fails for any reason: power outage, jammed switch, tripped circuit breaker or unplugged pump. 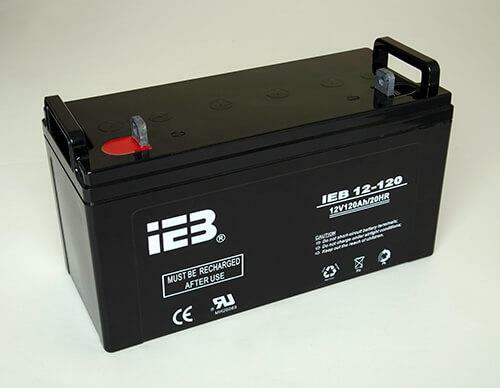 The UltraSump® pump is housed in a durable plastic sump liner that comes with an airtight lid. Built into the lid are two other quality features: a one-way floor drain (important if there's a plumbing leak) and a WaterWatch® alarm. 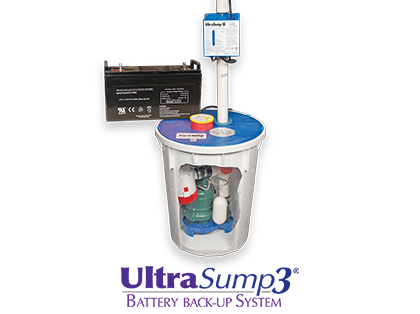 The alarm will sound if water level in the sump liner rises above pump intake level. 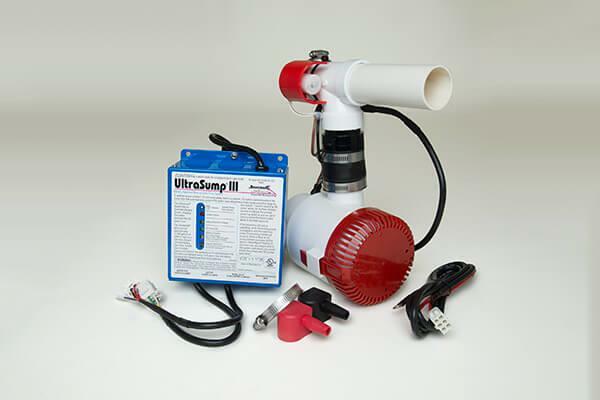 The UltraSump®'s primary pump is a 1/2 HP Zoeller pump that is twice as powerful as many other primary sump pumps on the market. 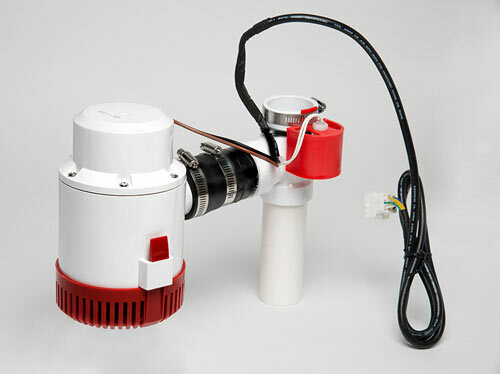 Zoeller pumps have a reputation for reliability and long-term performance; that's why we use them! Flooding is the most common natural disaster in the United States, causing millions of dollars in damage every year. Damage caused by just one inch of water can cost more than $20,000 to repair. Homeowners and renters insurance don't typically cover flood damage. Heavy rain isn't the only cause of flooding. Flooding can be caused by construction, snowmelt and more. 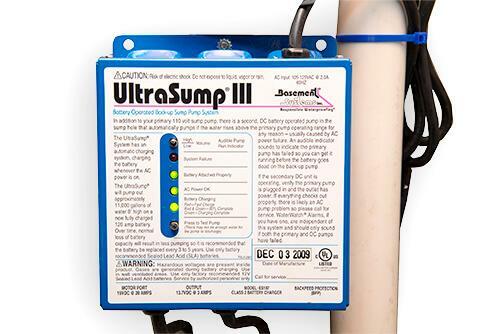 Looking for product pricing on the UltraSump®? 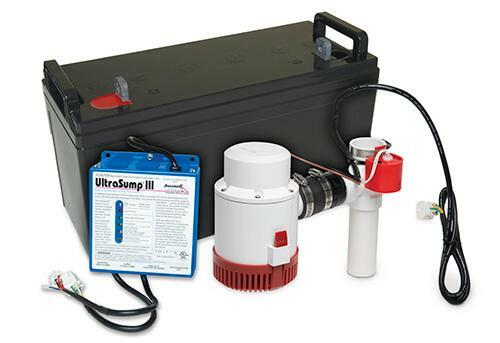 The UltraSump® system and all of our other sump pump products are installed exclusively by our certified dealers. Contact us today to schedule your consultation and get a free cost estimate on sump pump installation.